Everyone’s favourite 80s crooner is back on tour, performing his much-loved album No Parlez in celebration of 35 years since its release. 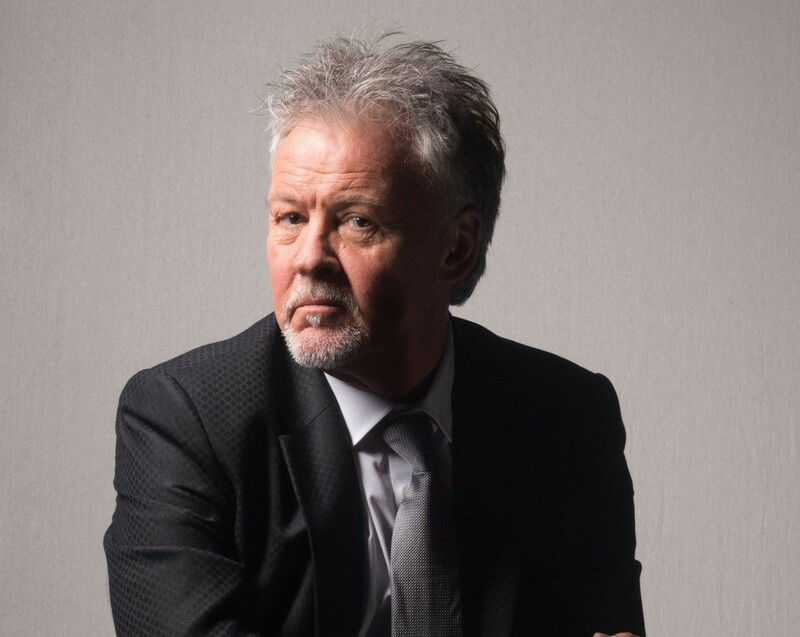 His debut album, No Parlez reached number 1 in the UK charts in 1983 for five weeks and fast became triple platinum. It produced his first UK number 1 single – the cover of Marvin Gaye’s ‘Wherever I Lay My Hat’ – and hits ‘Come Back and Stay’ and ‘Love of The Common People’. Here we catch up with Young to talk Live Aid, Little Richard, and where to find soulful vocals. Let’s start with the 35 Years of No Parlez tour. You’re embarking on the second leg of it – was there always going to be a part two? No. We first did it for the UK only. It was the first time I'd spent a little bit more on the show, I added two singers, got a proper light show, and it made such a big difference; not just what it looked like, but the fact I had more people to interact with on stage – I really had a good time with it. Then a lot of interest started to pop up from Europe so we thought we'd do a part two. Those songs that I haven't played for years, and some I've never played on stage, actually work great as a live format. Do any of the songs mean something different now to what they meant years back? I wouldn't say they mean something different, but what playing them does is remind me of the process of recording them. Before I did No Parlez I was in a soul band [Q-Tips] and we didn't really think that much about recording. We just dumped ourselves in the studio, set the equipment up and played. No Parlez was the first time I'd worked with a producer where we constructed the songs from the ground up like building a house. Playing the songs all over again, and picking out all the little sounds, puts me back in that moment. Do you have more of a say these days as to what you do musically? I've always had a say. There may have been one album where I had slightly less input and wasn't there for all of the recordings, and that's an album I don't like very much. But with all the other albums, the big ones like No Parlez and The Secret of Association, I'm there from when the first drumbeat goes down until the finish. This is our Best of British issue, for which you're a good fit, but it's worth pointing out that whilst you’re British your musical influences are from all over the world. They are. I came from a soul band so people make a big thing about that. 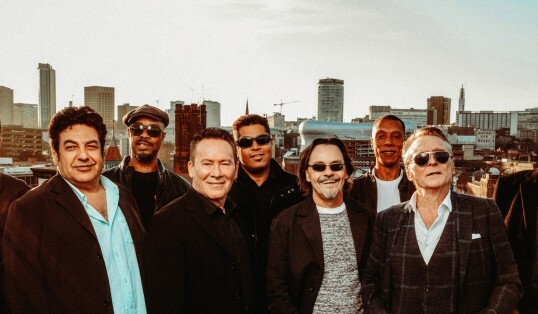 But if you listen to No Parlez, there's a slight reggae influence – I was listening to a lot of African music which was quite a trendy thing to listen to at the time. But I see Britain as a multicultural society anyway. You may well have seen Bohemian Rhapsody that came out last year, featuring that amazing Queen Live Aid set. You were there on that momentous occasion, what are your memories of that set and indeed your own? It's hard to remember the intricacies of what was going on because it was just madness. I was midway through a tour, I'd flown back from America, there was no rehearsal or sound check – I just went straight in and did my songs – I was jetlagged but it was still great fun. The clever thing Queen did was rehearse their 15 minutes to be the tightest 15 minutes you'll see. I had to vacate my dressing room so they could get in. I'd stopped to do an interview with Cindy Crawford which was quite pleasurable, maybe I stayed a bit longer than I should have done, and when I got back my manager said, ‘You've got to get changed quick, and get out, because Queen need to go in.’ So I was in and out and then relaxing after the show, when Queen went on I probably didn't see that much of it, but then I watched it back afterwards and could see it was a great performance. Who's the most colourful character you've worked with? There are two people I worked with, where I look back and think: ‘Wow. That was incredible.’ One is Chaka Khan, the most amazing singer and musician, and the other is Bobby Womack – I became his friend for a while, met his family, he was a really nice guy. Where’s the best place in England to go for soul music and soulful vocals? I think you’ll find a lot of soulful tunes in jazz places now. Soul seems to have moved over into that area where you’re just as likely to go down the 606 Club and hear some great soul singers as you are jazz. And if you ever get a chance to see Tommy Blaize, lead singer of the Strictly Come Dancing band, he's got the most beautiful voice. I've got some tracks that are near completion. They're all little projects that I did and then shelved because I'm very pernickety. I put all these together into one folder and I was playing them and thought, ‘Well, that one works with that one and that one.’ I was supposed to complete it when Stacey [Young’s late wife] was ill, and she died – I had to shelf it then. Then I thought I’d do it the next year, and I caught pneumonia. I was getting really run down with it, penicillin's the best antibiotic to kill it off and I'm allergic to it, so it's been difficult to get the right one to help me over it. That's why it's dragged on a bit. But we're definitely going in the right direction now.